In the small village Peruški is this nice holiday home with pool located. The comfortably furnished interiors offer you the comfort you need for a pleasant stay. The house extends through the ground floor, which is adapted for people with disabilities, and the first floor. 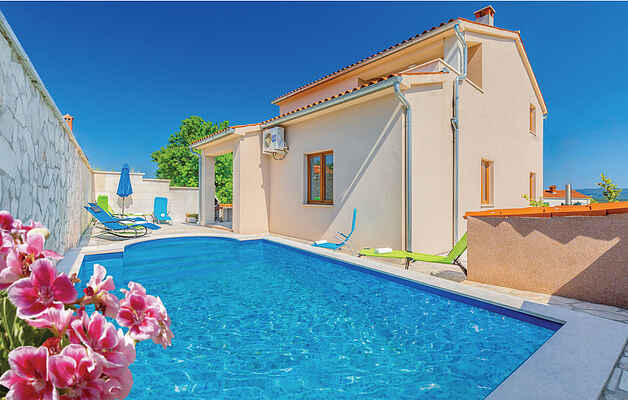 On the fenced plot is the pool at your disposal, which on hot summer days invites you for pleasant refreshment. The location of the holiday property is perfect for those who like nature and unspoiled beaches and small coves. Visit the town of Pula, known for its many cultural and historical attractions.